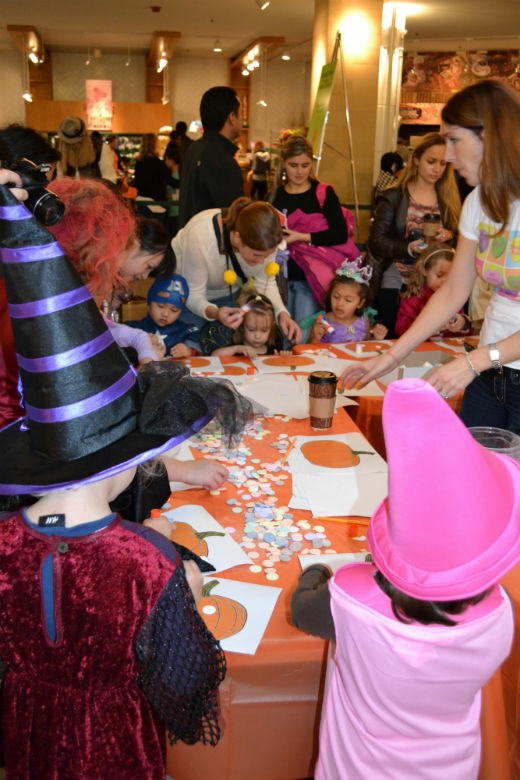 The Shops at Prudential Center, Boston, will host its annual PRU BOO indoor trick-or-treating and family fun event on Sunday, October 26. The event will benefit Catching Joy, a non-profit organization that promotes volunteerism beginning with young children and their families. This year marks the 20th anniversary the event. Since the first PRU BOO in 1994, The Shops at Prudential Center has distributed 300,000 pieces of candy to over 20,000 kids. The event has also raised over $40,000 for local charities. The Shops at Prudential Center will open its doors at 11am to hundreds of families from Greater Boston to enjoy “store-to-store” trick-or-treating, pop-up magic shows, a performance by Stacey Peasley as well as a variety of family-friendly activities provided by some of Boston top attractions, including New England Aquarium, Boston Duck Tours, Blue Man Group, Museum of Science, The Freedom Trail Foundation, The Mary Baker Eddy Library, and more! With a $4 donation to Catching Joy, participants receive a trick-or-treat bag that provides access to trick-or-treating at more than 50 stores and restaurants at Prudential Center, along with other fun family-friendly activities. Presenting sponsor, NECCO, The New England Confectionery Company, will provide all candy. Share a photo of your little one in costume October 17 – 31, 2014 for a chance to win a prize pack from The Shops at Prudential Center valued at $400. Share your photo on Instagram with #PRUBOO2014 to enter. For details visit www.prudentialcenter.com.